This spacious 7100+ sf home is looking for new owners. The long, tree-lined driveway ends in a large circle at the inviting front portico. Step through the entry into a foyer with a curved stairway perfect for prom photos. The adjacent living room welcomes you with enough seating for 15+ to comfortably watch March Madness and a new high efficiency hybrid catalytic wood stove to keep you cozy. The bright and open kitchen has an induction cooktop and other recently-updated KitchenAid appliances along with a soaring breakfast area ready for a huge farm table and an adjacent powder room. The dining room with a wood-burning fireplace is the perfect place to linger over memorable meals. The main level bedroom with en-suite bath and sitting room/sun room is perfect for in-laws. The office/library overlooks the beautiful front yard. The back hall / mud room and laundry room provide many storage options leading out to the side load 3-car garage with room for all your toys. Step onto the massive back deck and relax! Room for sitting, dining, and grilling with views of the pool, fire pit, and rolling lawn. Steps lead down to the 20x 50 pool with a diving board and a large patio with rock wall. The pool area is completely fenced and surrounded by mature gardens. The hot tub features a cascading waterfall. A large sliding door leads inside to the lower level where you will be ready to entertain! With plenty of windows, the game room and bar have the perfect view back out to the pool decking. The billiards table & poker table convey! These along with a large custom wet bar, fridge, ice machine, seating, a tv, and another fireplace with a massive brick hearth make this the perfect place to hang out. The lower level also has two large en-suite bedrooms, an exercise/gym/playroom and a large storage room. The upper level has 4 bedrooms, 3 baths, and 2 balconies. The owners retreat has a cozy and well-lit sitting area with fireplace and a spa bathroom with a free-standing soaking tub and walk-in Kohler shower system. Two bedroom closets and a finished storage room supplement the custom walk-in closet. 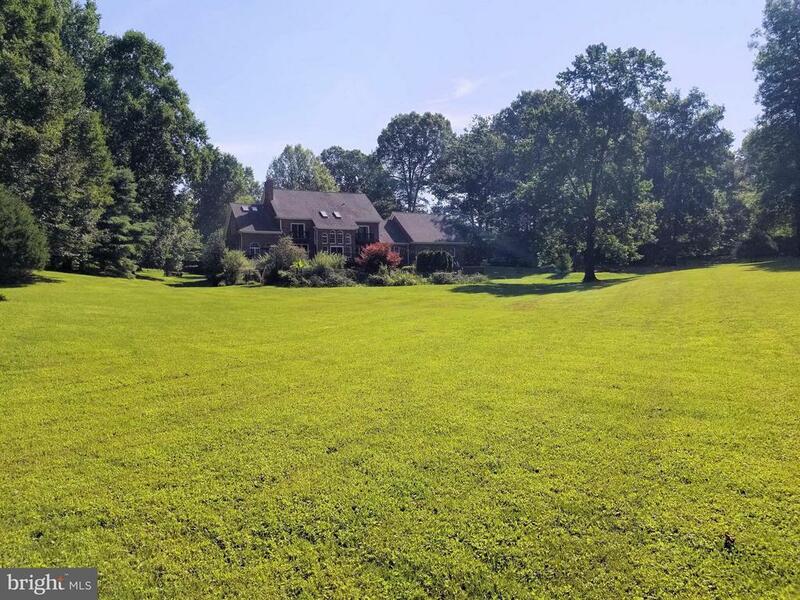 Your 5 acre lot is one-of-a-kind with four sides of privacy, a level front yard with a gentle hill down to an expansive gently rolling back yard surrounded by mature hardwoods. Let the little ones play outside! Plenty of space for a tennis court, a carriage house, or a large barn. Existing 7 bedroom septic system. Fox, deer, rabbit, hawks, geese, doves, hummingbirds, song birds, cardinals, and blue jays are regular visitors and occasionally eagles, blue heron, and cranes can be spotted. The side yard has a perfect sledding hill for snow days and the perfect tree for a tree house. There is no lack of parking with multiple areas for family and guests. Such a peaceful setting. Just below the Town of Clifton which offers multiple fantastic dining options from gourmet to pizza or ice cream along with pilates, yoga, shopping and the town post office. Walk to Hemlock Overlook Park and Bull Run.